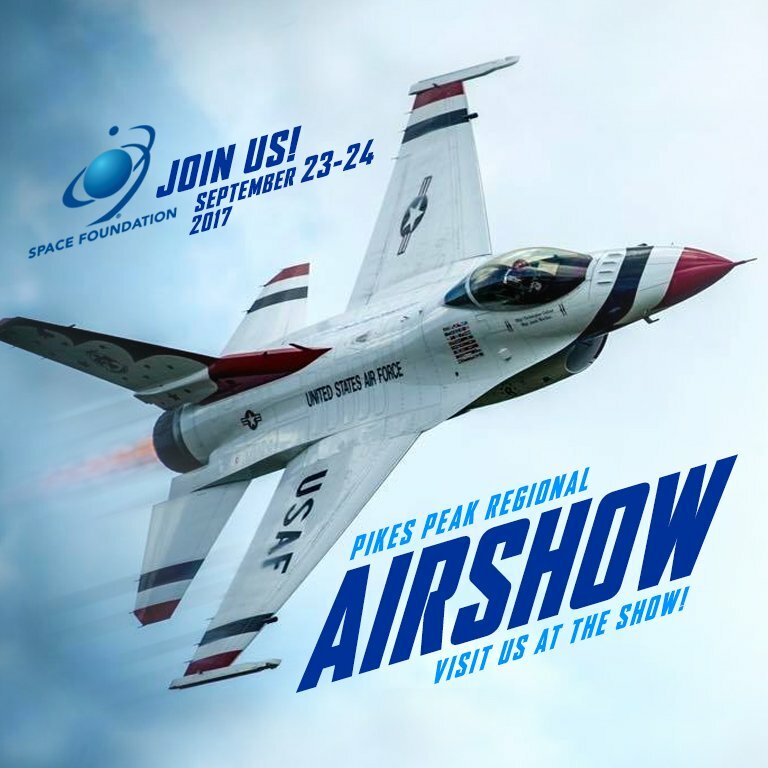 September 14, 2017 – The Space Foundation will offer hands-on STEM activities for children at its booth at the Pikes Peak Regional Airshow, to be held in Colorado Springs, September 23 and 24. The activities are designed to introduce children of all ages and skill levels to basic concepts of science, technology, engineering and math (STEM). The Space Foundation booth will also have drawings, prizes and coupons for discounted admission to the Space Foundation Discovery Center, the Pikes Peak region’s only public space, science and technology center. The Space Foundation will have a second booth in the concession area, selling fun space-themed items, including toys, books, games and posters. Sales from the booth will benefit Space Foundation education programs. The Pikes Peak Regional Airshow will feature the U.S. Air Force Thunderbirds and Warbirds, as well as aerobatic teams and more than 30 vintage aircraft. Find information about Airshow tickets and directions at http://pprairshow.org/.